The Leap Motion is a small object that was released on July 22, which enables remote human-computer interaction. Equipped with VGA cameras and sensors, the Leap Motion is designed to detect finger or pen movements which, in turn, control the computer. Selecting keys, zooming, changing views, drawing or perhaps manipulating radiology images in an intra-operative setting are all possible. The Leap Motion retails for $79.88 and is just over three inches long, an inch wide and less than a half-inch thick (79 x 30 x 11mm). It has a black panel on top, behind which resides the infrared sensors. 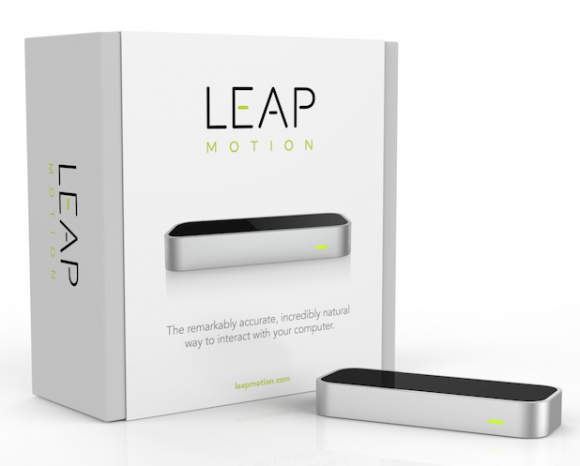 The Leap is different from a Kinect sensor bar as it works using infrared optics and cameras instead of depth. As a result, it does not cover as large an area as Microsoft’s motion controller; however, its motion sensing fidelity is unmatched by any depth camera currently available. It can track all 10 fingers simultaneously to within a hundredth of a millimetre. 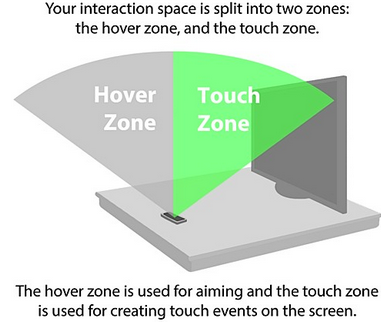 Desktop control relies on dividing 3D space into two separate zones: one closer to your body, which is for “hovering,” and one closer to the display, which is for “touching.” In other words, it’s just like hovering with a stylus before making contact with the screen. There are a number of applications which have been built specifically for the Leap Motion. This includes Cyber Science 3D which lets you manipulate a human skull to identify the bones that comprise it and Frog Dissection which allows you to dissect a digital frog. It is clear to see that there are plenty of educational uses for the Leap Motion (See below). Surgeons have the potential to manipulate preoperative radiology and planning remotely without descrubbing and desterilising. Medical education could be enhanced by digitally dissecting human cadavers or manipulating three dimensional anatomy models. Assist in rehabilitation to practice hand and finger movements including but not limited to dexterity, and manipulation of objects. One point that commenters have already raised is the lack of tactile feedback when using the Leap Motion. Despite this, there is a clear desire to test this technology in operative situations as shown by Scopis Medical who have already developed the first hands-off surgical navigation system for use in the operating rooms of the future. The system has a standard mouse-emulation mode for point and clicking, as well as a 3D gesture system for manipulating images like CT scans and MRIs. Further research needs to be carried out to evaluate surgeons perceptions to controlling computers using floating touch gestures. The Leap Motion controller is more about potential than anything else. It provides a new means for computational control which may present as a novel intraoperative and educational tool. Initial reviews of the device have generally been positive but many cite the lack of direct integration into existing apps as a potential stumbling block. The growth of the initial software library for Leap is relatively limited, but may have a novel of innovative medical uses.